Born 10 October 1841, Birdston, Scotland. A noted pioneer of women's education. The Glasgow movement to establish the right of women to a university education and the establishment of a means to deliver it was led by Jessie Campbell, administered by Janet Galloway and financed by Isabella Elder. Janet Anne Galloway (1841-1909) was born in Stirlingshire but her family moved to Glasgow in 1844. Her father worked as a land agent, valuator and accountant. She was the only one of four children to survive to adulthood. Galloway was educated in Scotland and then sent abroad to schools in France, Germany and Holland, her father believing that 'as much pain should be taken about girls as boys'. On her return, she was trained by her father in bookkeeping, office work and business methods. She became an ardent supporter of the movement to provide higher education for women. 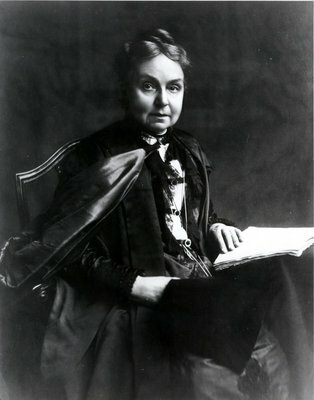 In 1877 she became honorary secretary of the newly established Glasgow Association for the Higher Education of Women, founded by Jessie Campbell and others, to offer women opportunities to study at university level. She did a considerable amount of work to provide teaching for women but refused any payment for her efforts. In 1883 the association was incorporated as Queen Margaret College and she became its first secretary. 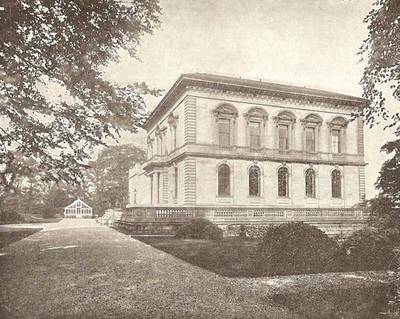 When Queen Margaret College amalgamated with Glasgow University in 1892, Galloway became a university official but still refused to be paid. She promoted the formation of a women graduates association and the Queen Margaret Guild which provided lectures for the university extension movement. She was also a founder of the students' residence, Queen Margaret Hall. She was a prominent member of the executive committee of the Queen Margaret Settlement Association, a social work programme carried out by students. Galloway, who was unmarried, was a Conservative in politics and disapproved of women's suffrage. She was awarded an Honorary LLD in 1907, and her contribution is further acknowledged in her inclusion in the memorial window in the Bute Hall, together with Isabella Elder.